We have a small deck at the rear of our house here at the Crossroads, and it’s where everyone enters our home. 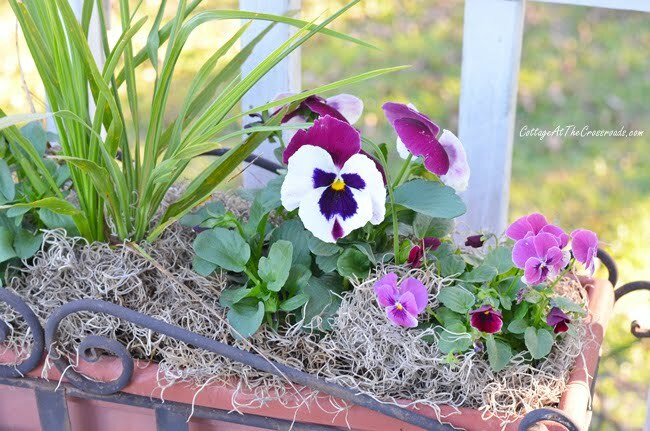 It’s also where the topsy turvy planter is, and earlier this fall, I planted some pansies, violas, and ornamental cabbages to brighten the entrance. Recently I added a few more things to get ready for the holidays so today I’m sharing our farmhouse Christmas decorations on the deck. This is the very first thing that anyone sees when they approach our back door, and it gives a big clue to how the rest of our home will be decorated for the holidays. 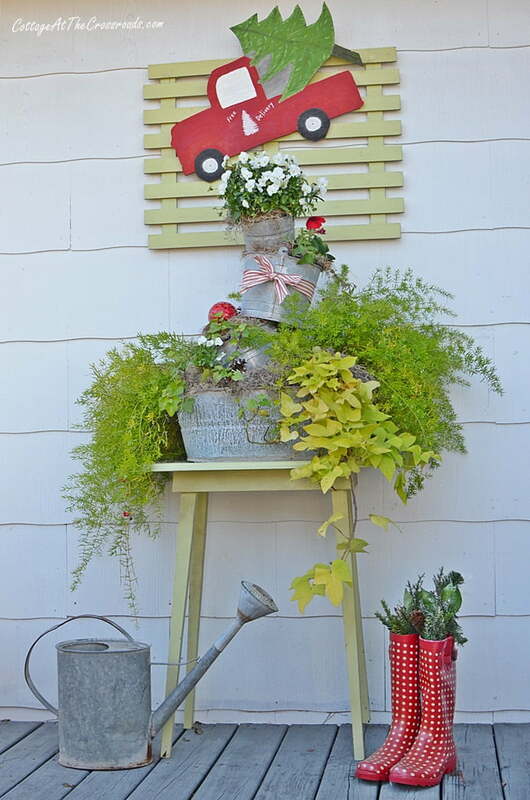 This is the latest version of the topsy turvy galvanized bucket planter. I have been “baby-ing” the plants from frosts by bringing the planter onto the back porch on cold nights. But right now, I still have sweet potato vine, asparagus ferns, and red petunias still blooming. 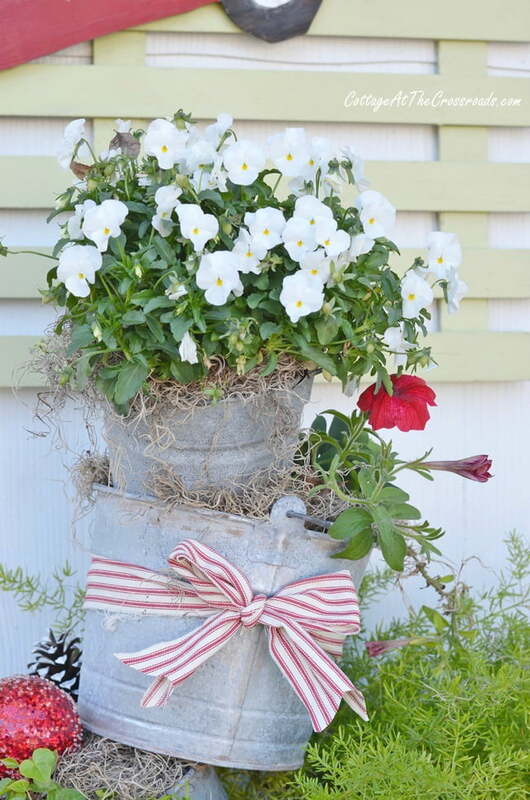 The top bucket, though, has been planted with white violas that will bloom all winter. A red ticking bow dresses up one of the buckets, and a few ornaments and pinecones serve as fillers where summer annuals were removed. The red truck was previously blue and was used in place of a wreath on our front door last year. You can see it here: Retro Red and Aqua Christmas Porch. 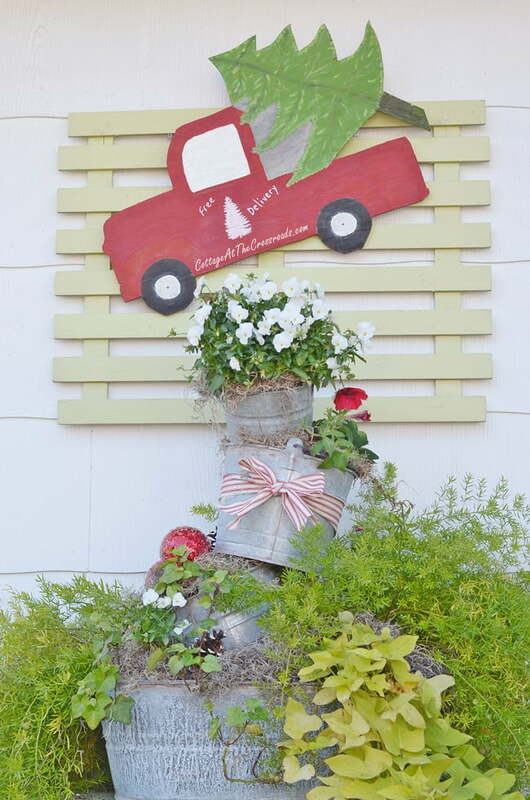 Our farmhouse Christmas decorations just wouldn’t be complete without a red truck, would they? 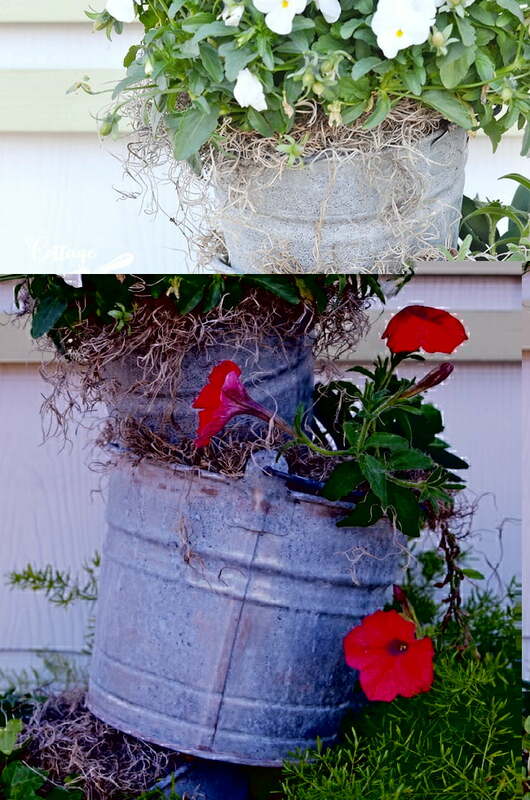 When we created the topsy turvy planter back in 2013, I really had no idea how versatile it would be or that I would be using it as a planter for so long. It remains one of my favorite DIY projects. It gives a great big welcome to all who visit the Crossroads, and I’m loving this Christmas version. Beside the back door we have a wooden bookcase that holds plants. I’ve added a few Christmas things on this side, too. The bookcase has lasted longer that I would have thought since it is outdoors, but it’s under the overhang of the porch so it doesn’t get wet too often. 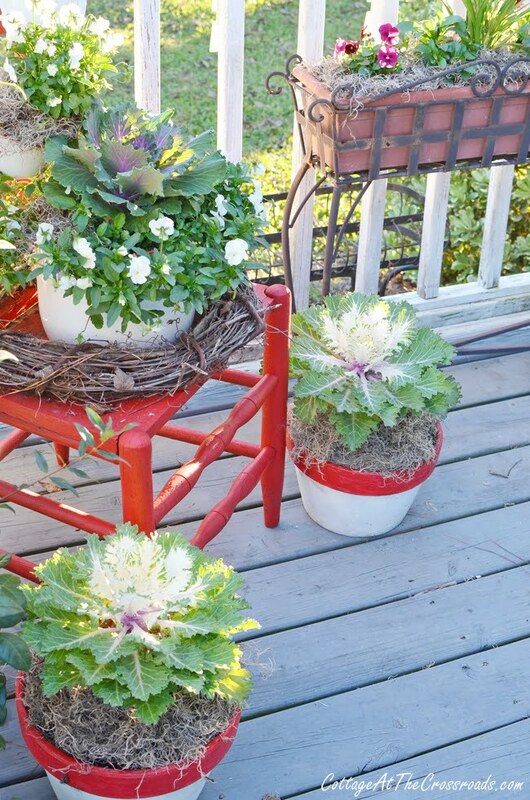 In another corner is this red chair planter that was previously used as a red enamelware fountain this summer. After we removed the pump for winter, I decided to bring the chair around back to the deck. 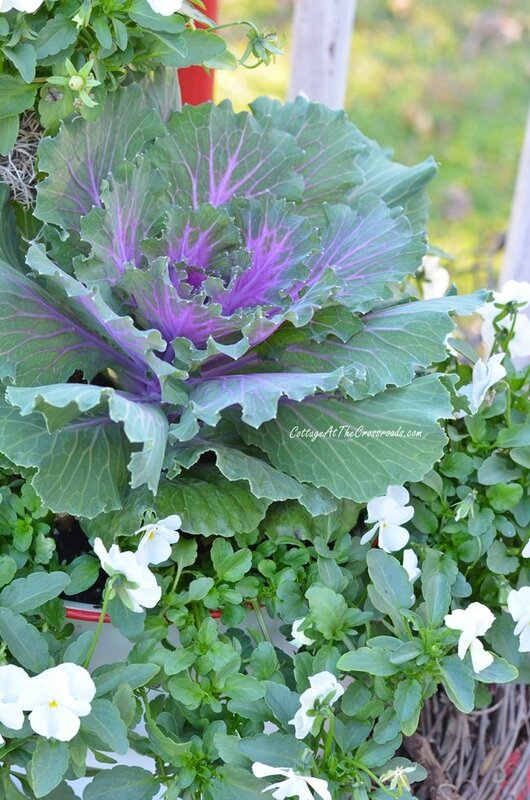 I promptly planted the enamelware bucket with violas and an ornamental cabbage. I’m so lucky that I live in an area where these plants will remain beautiful all winter. 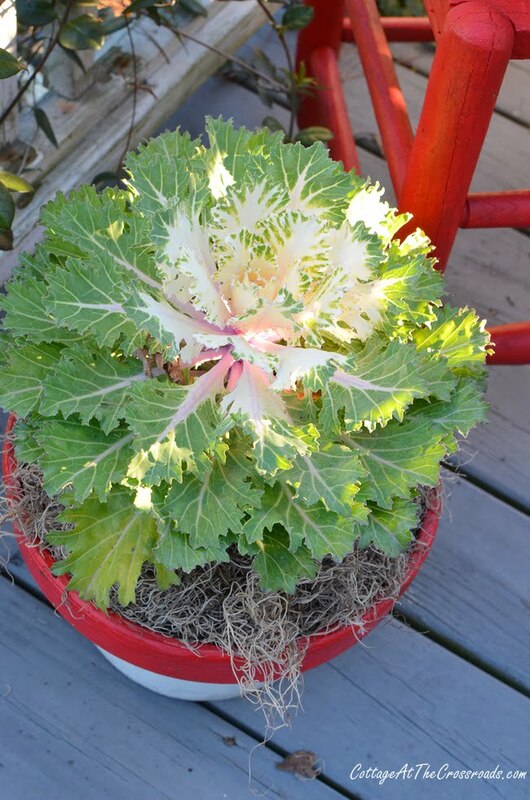 The red and white painted pots got some frilly white ornamental cabbages, too. To the right of the red chair is a planter filled with more pansies and violas. The tall plant in the center will not tolerate freezing temps so I simply move the entire planter on the back porch on cold nights. Got to have my flowers, you know? I hope you’ve enjoyed seeing our farmhouse Christmas decorations on our back deck, and if you’re looking for more Christmas inspiration, you’re in luck today! 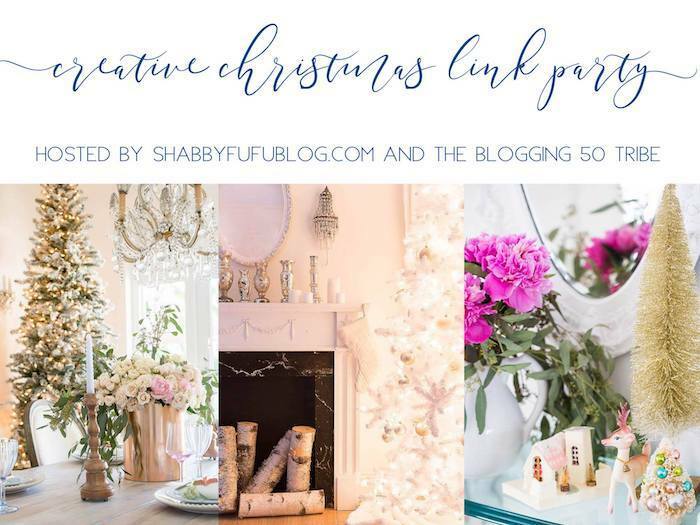 Below you’ll find lots of links to some awesome ideas from the members of our blogging fifty group. Yeah, that’s right. All the bloggers are age 50 or older! I love the warm welcome your decorated porch gives to everyone who stops by. There are so many details I love. Especially the red chair and the little red truck. This all looks so welcoming with potted plants, touches of red and Christmas. We’ve already had freezing weather up here in northern Illinois. What I would give to come upon such a pretty porch right now. Hope you are having a lovely Thanksgiving weekend! Your creativity never ceases to amaze me. I just live your style and crafty goodness. Oh Jane this is just so much fun and pretty all in one place. I always love your deck decor for the holidays. Those red boots are just too adorable. Love love it all. Happy Thanksgiving. 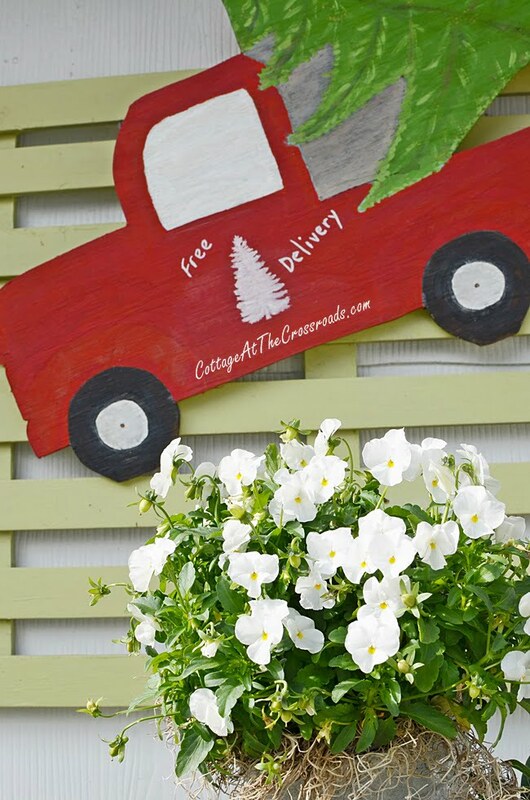 The red petunias are so pretty, I love the tree you stenciled! What a adorable project, its just amazing and so creative. Happy Thanksgiving. 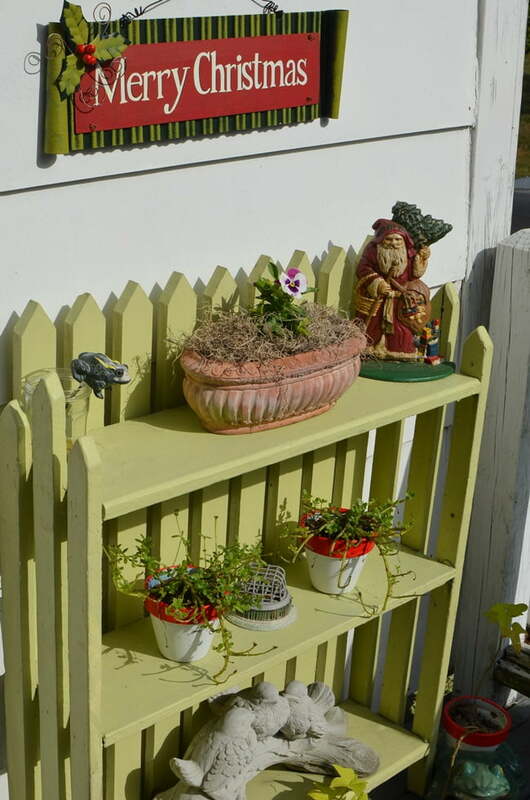 Jane…I always enjoy your deck for every season and love how you decorate your Topsy Turvy planter…such a beautiful area to welcome your friends and family to your home filled with the cutest and most creative things! 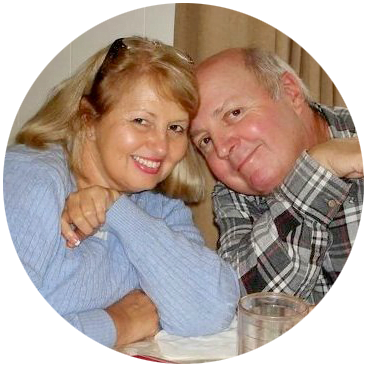 !…I envy you being able to display those beautiful flowers and ornamental plants/veggies…a herd of deer just ate my geraniums on my back porch the other night..they must be hungry as they have never eaten geraniums in the past….Have a great week! 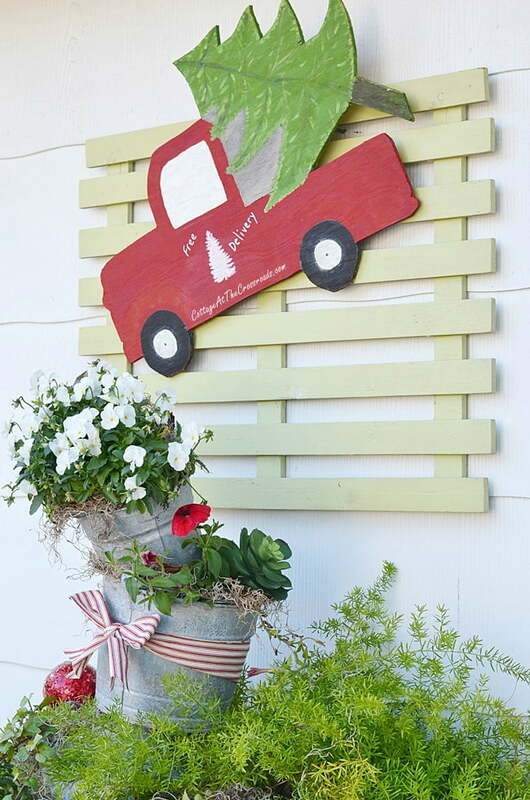 Lovely post, enjoyed reading it and your lovely photos and porch decor items and floral decor. It all looks very welcoming.